Welcome to the RenoCompare bedroom remodeling section. This section is all about bedroom ideas, bedroom decorating ideas, trends and inspiration. 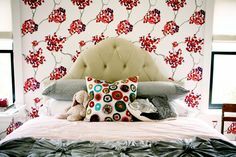 Scroll down to explore the key areas of a bedroom you’ll need to find ideas for when you plan a bedroom remodel, and to see inspirational bedroom pictures and project posts from homeowners and contractors. Bedroom remodeling can be something as simple as new curtains, blinds and bedding, but your ideal bedroom may require you to commit to a much larger remodeling project like a home addition, basement or attic conversion. The National Institutes of Health says that the average human will spend about 26 years in his lifetime asleep, that’s about a third of the average lifespan of 78 years – that’s a lot of sleep! So if you’re going to spend a third of your life in bed, it makes sense to give its design and décor a fair bit of thought! 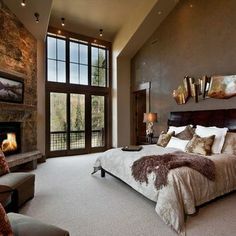 Not matter what bedroom decorating ideas you have, whether you envisage your bedroom as a peaceful haven from the noise of the day, a luxurious space to indulge your sense, or den of cozy comfort, you will need to take into consideration all the different aspects of the room that will create that vibe. And quite apart from creating a bedroom for your own needs, it’s also worth noting that a gorgeously appointed master suite – particularly one that has its own en suite bathroom – is something that home buyers often have on their wish list, so remodeling your bedroom could definitely also be a good investment as long as you don’t go overboard on expensive updates. So what do you need to consider spending your budget on when remodeling your bedroom? 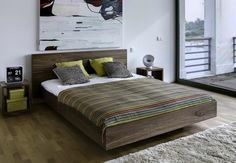 When collecting your bedroom ideas a good starting point is with the basic structure of the bedroom. What kind of flooring does your dream bedroom design have? For maximum value, you should know that wood flooring is increasingly a popular choice for bedrooms, and different wood finishes can really pull bedroom décor together. For example if you’re creating a cozy country cottage bedroom then warm, mellow, hand scraped oak flooring would make a great match; whilst a slickly white painted wood floor is the perfect backdrop for a minimalist Scandi-inspired haven. 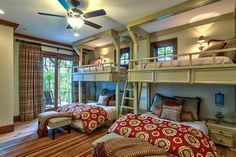 Wall-to-wall carpeting is also a great idea, especially if you are looking to add notes of luxury; and there are lots of fun children’s bedroom ideas that take their cue from colorfully patterned carpets (by the way, the extra sound-proofing of carpeting in a kids room can be handy too). Tiled flooring and cement flooring in bedrooms can work if you live in a warm climate, with the addition of bedside area rugs to take the edge off on cooler nights. 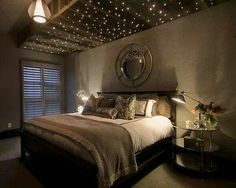 After flooring, it’s the walls of your bedroom remodel that are going to have the greatest impact on the overall design. The options are to paint, hang wallpaper or install wood paneling – or to choose a combination of two or three of these wall treatments. Sounds easy enough, but when you get into it you realize that each of those options require careful decision-making! 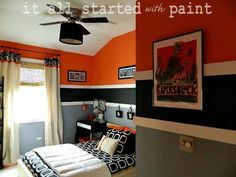 There are simply tons of paint colors and wallpaper patterns. Increasingly there are clever wood paneling ideas, such as using pallets to create a feature wall. Finding the right color or pattern will come down to personal taste and perhaps many hours of looking at different bedroom décor ideas to find the style you like best. From an investment point of view, try to avoid really bright, overly personal colors: most prospective buyers prefer to see neutral tones that they can then envisage personalizing themselves. If you are building from scratch, creating a home addition or converting an underused space into a bedroom, then you may have the chance to choose windows – We just love the idea of those pretty round windows in an attic bedroom or huge French windows opening out to a private terrace off the master bedroom – heaven! Again, opting for windows that complement your overall design will be key to bringing a new bedroom design together. If you are simply redecorating your bedroom, then you’re unlikely to be refitting the windows, but do give thought to making sure window frames are freshly painted and that openings are fully operational – in our opinion, it’s absolutely essential that you’re able to fully air your bedroom on a regular basis! 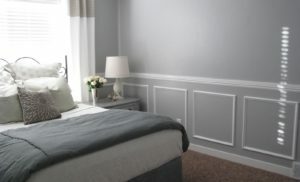 Crown moldings can often make a room look more finished – especially in a classic bedroom design – so also worth thinking out when you plan the space. 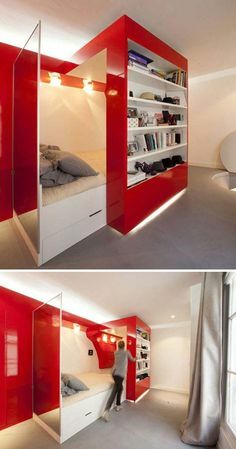 After storage (see below), lighting is probably the most crucial aspect of your bedroom design, and has to be an integral part of your bedroom remodel planning. 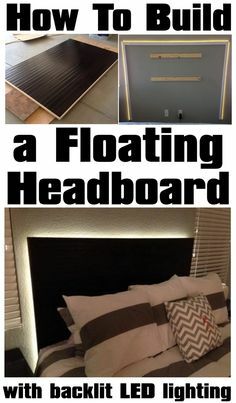 You will want to have all kinds of different lighting levels in a bedroom. Lighting ideas include areas that it can be brightly lit when you’re getting dressed or applying make-up at the dressing table, bedside lights available for essential nighttime reading and dimmer switches for when you’re ready to get cozy! For master bedrooms and guest bedrooms a combination of recessed ceiling lights, large ceiling pendants, wall lights and table lamps should all be on your ideas list. For children’s rooms, finding a night light that works with the décor is increasingly easy as there is now plenty of choice; but if you have spirited kids like mine, perhaps think about placing light switches higher up the wall and out of reach! On the whole we think storage is the most important aspect of a bedroom design. 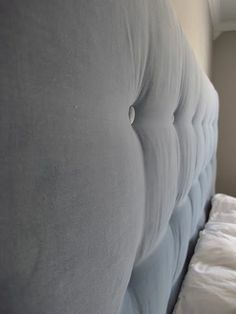 So while you may be wrapped up with wonderfully romantic bedroom decorating ideas, luxury décor options and latest superchic bedroom trends, don’t forget to ask yourself constantly where exactly you plan to hang all your clothes, keep your shoes and store your bags, jewelry, accessories, ornaments, mementos, books etc! There’s nothing like clutter for ruining a gorgeously decorated bedroom, so does your dream bedroom design actually have dream storage too? Of course, the ultimate dream is to have a walk-in closet or dressing room adjoining the bedroom; but if that’s not an option, investing in good quality fitted cupboards, or a freestanding wardrobe and chest of drawers will do the trick. 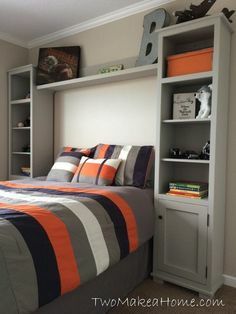 Adding shelving into your bedroom design is also a good idea. You might think I’m crazy, but personally I don’t think any master bedroom or guest bedroom is complete without bedside tables! I mean, you really do need to have somewhere for books, alarm clock and a glass of water, no? Obviously, you also need a bed – and choosing the right one to match your design scheme will be a lot of fun. When searching for furniture items to consider are vanity dressing tables, mirrors, desks, chairs, armchairs or chaise longues. All of these pieces of furniture might feature among your bedroom ideas depending on its size and style – whether you opt for matching bedroom set or choose a more eclectic mixed approach will depending on the ideas you have for the overall look and feel. 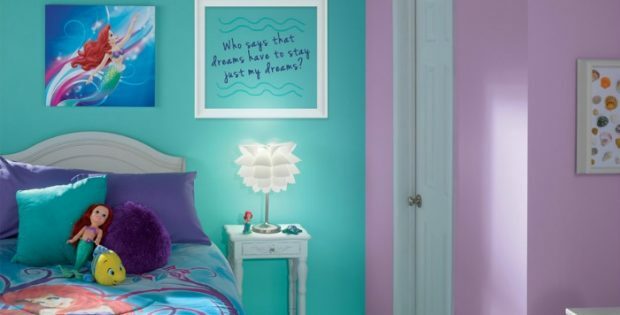 Practical matters will also prevail – you might have seen a really cute kids bedroom idea featuring furniture printed with teddy bears pictures, but it’s not going to be so cute when your kid is seven years old and desperate for a super hero bedroom and you have to buy a whole new set of furniture! 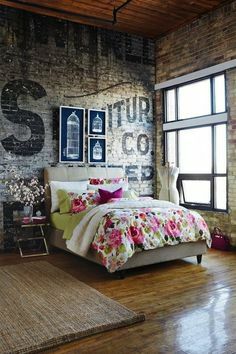 Simply redecorating and replacing the bedding and soft furnishings in a bedroom can give it a whole new identity! The fabrics you choose will really clarify and define the design style you’ve chosen. So taking time to look for the exact right throw, cushion or curtain fabric to complete the look you’re after is time well spent. There are also many super clever DIY projects that show you how to quickly change the look of a room by swapping in new soft furnishing ideas, so you don’t have to break the bank to get a new look! Some people are appalled at the idea of having electronics, such as a television screen or sound system, in the bedroom. For others, having these items in their bedroom is essential. If you’re one of the later types and plan to install some form of bedroom entertainment center, a bedroom remodel is the perfect time to upgrade and ensure that all electronic devices fit seamlessly into your bedroom décor. Finding the best solution to house screens and stereo equipment, and hide away unsightly cabling, may be a simple case of finding the right kind of TV furniture unit or it may require the expertise of contractors to integrate your home entertainment system into the walls depending on your needs. There’s a lot to think about when remodeling your bedroom. Ultimately though, you need to choose bedroom design ideas you love, so scroll down for pictures of bedrooms that have been remodeled or built by other homeowners and contractors. Get bedroom ideas for your own project, or share a completed project of your own.